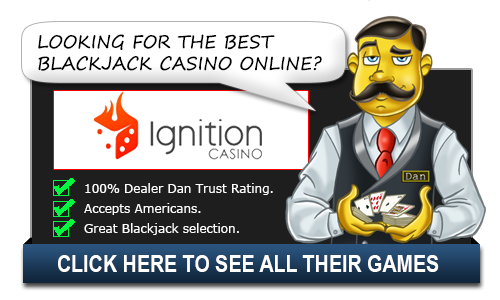 21+3 Blackjack - Play Online - Casino Answers! Presented by Felt Gaming Company, 21 +3 Blackjack provides you with an opportunity to play in the basic mode using the general rules and place a special bet on an extra field. This game is a combination of blackjack and three card poker, where your first 2 cards and the dealer’s face up card are used to form a combination of three card hand. Here is a review of this very popular side bets blackjack variation. 21+3 is a version of American blackjack available in online casinos. It also has an offline version that is available in most offline online establishment. 6 decks of 52 cards with no jokers are used and all cards are shuffled before each deal. Two types of bets are accepted: the Side bet and main bet. You can use one, two or three boxes and stake from 0.50-500 credits per box. The bets can be different on each box. The aim of this game is beat the dealer’s points on the box but you cannot exceed 21 points. Also, you can make a 3 card side bet that pays relative to the total of your first two cards as well as the dealer’s up-card. The blackjack 21 bet is always required but the 3 card bet is optional. After placing the initial bet, you receive two cards facing up and the dealer receives his with one of the card facing up for you to make your decisions on. If you make a 3 Card bet and they form a winning combination, then you are paid relative to the side bet paytable. The split feature give you a chance to make more winnings. If your hand has two similar cards, then you play this feature and you also double your bet. · If the dealer’s face up card is a ten or ace, then he checks for blackjack. · The dealer deals by one card on the split aces. The pay off indexes in basic bet are classic, an insurance is paid- 2:1, a regular box 1:1 while blackjack is paid- 3:2. It is possible to reach 99.63 per cent when playing 21+3 by optimal strategy. The amount of the side bets that are placed at the special field varies from 0.10 -250 credits. They are drawn independently of the main bets but cannot be placed separately. Pay offs of these bets are charged after the formation of the following combinations in the first 3 cards: two cards from the player and a face up card by the dealer. In 21+3 blackjack game, a progressive jackpot is not drawn. 21+3 Blackjack is certainly a high quality game with simple rules, convenient interface and great design and functionality. It has various solutions and settings which makes the gameplay pleasant and comfortable.